If you are a keen golfer and need to protect your gold equipment, including your golf clubs, golf bag, trolley and your golf clothing, buy our gold insurance online now. Don't get caught out at the bar for an expensive round of drinks for a hole in one, where our golf insurance provides hole in one cover. Our Silver and Gold cover includes up to 90 days European cover and our Platinum up to 90 days Worldwide cover. 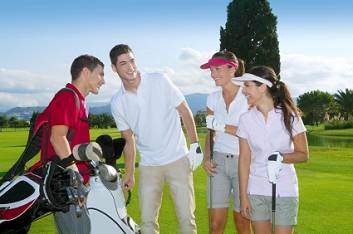 Our golf insurance allows Tournament Entry Fees to be claimed back in the event of an accident or sickness. So don't delay cover your golf equipment online today.